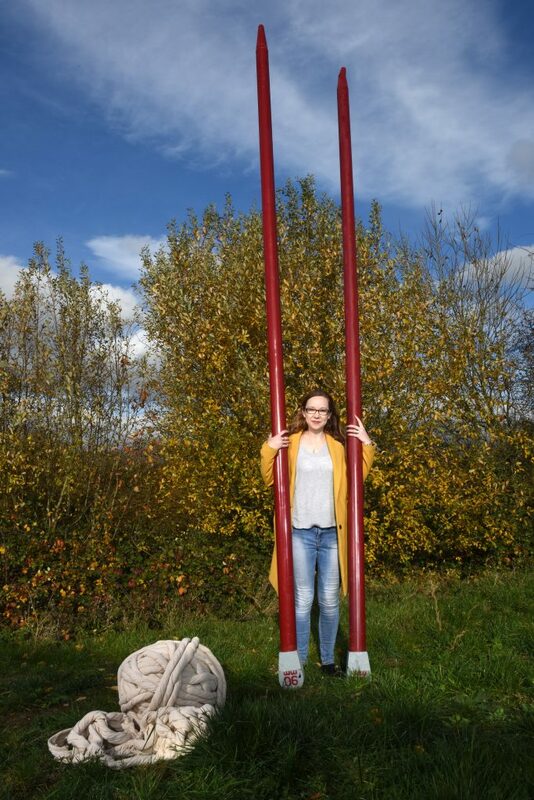 A student who holds a record for creating the world’s largest knitting needles is desperate to flog the huge pins for £9,000 to fund her way through university. 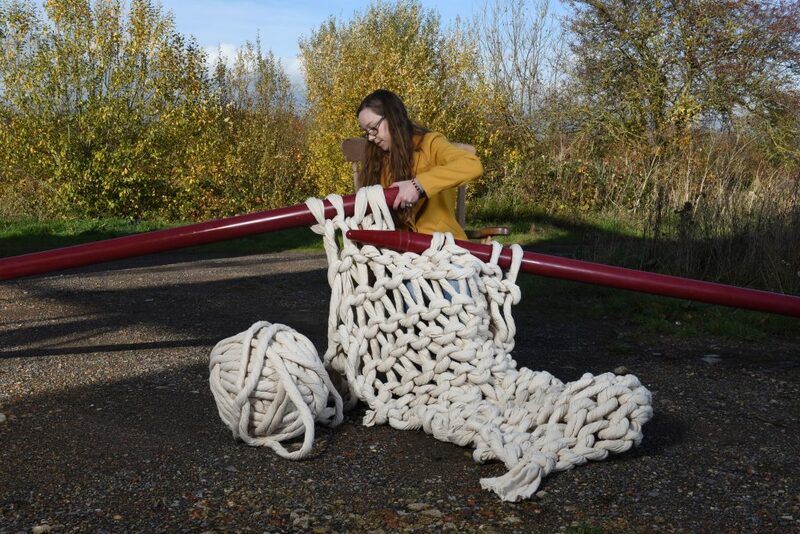 Elizabeth Bond made the giant red needles, which are 14 foot and 6.33 inches long, with a diameter of just over 9 centimetres each, as part of her final major project at Wiltshire Art College, when she was studying art and design back in 2017. 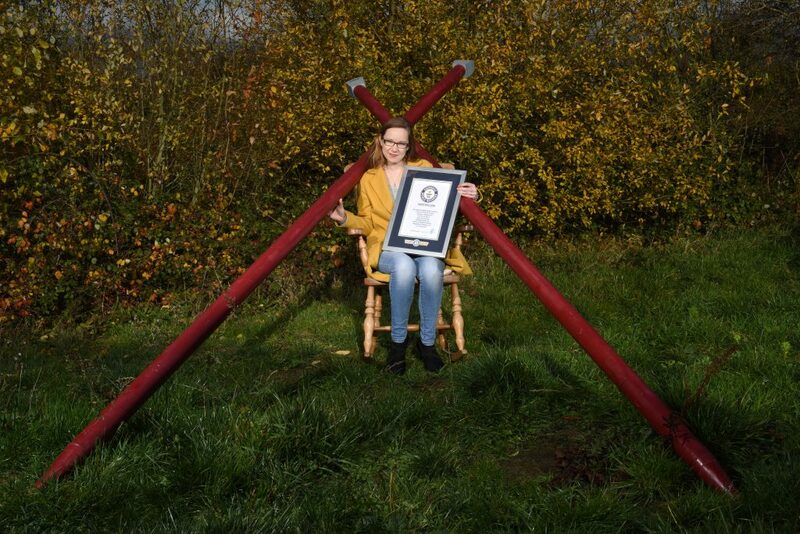 After looking up the previous record holder, Elizabeth, also known as Betsy, took things up a notch and managed to add more than a metre to the old record. However, in order for her needles to become record holders, she had to be able to knit at least 10 stitches and 10 rows of yarn using them. She was eventually awarded a Guinness World Record for her efforts but the celebrations were short-lived as Elizabeth, who lives with her parents in a static caravan in Chippenham, Wiltshire, whilst they build a house, soon struggled to find anywhere to put enormous the plastic needles. The cash-strapped 31-year-old is now hoping to sell the bizarre sculptures to fund her last two years studying art at Bath Spa University – with fees totalling £18,000. But Betsy, who currently has to store the colossal needles in an outside barn, is struggling to find a buyer for the unusual item. She said: “It would be nice if I could get enough to cover one year of university fees, just to soften the blow. “It’s so difficult though because there is nothing out there like them, so I have nothing to compare them to. “I could go really high and put interested people off or I could end up going too low and underselling myself. “I have one business in America who are interested but emails have been slowly going back and forth and price hasn’t been mentioned yet. “It would be lovely to see them as an installation in an art gallery as that’s the line of work I want to go into but I think they might have more value as a novelty act. Maybe with a museum, an attraction, or seaside resort or something like that. “It’s tricky because there are no big knitting manufacturers in the UK. They are all abroad and obviously transporting them isn’t easy. They’re lightweight but it’s not like you can just cut them in half. “No one was really surprised when I made the needles. Everyone who knows me just expects it of me now.